This prehistoric drawing in Tham Lod (Lod Cave), was once one of the finest in Thailand, but is said to have been destroyed when villagers cleaned the cave from graffiti and a young boy mistook it for contemporary graffiti. Nowadays nothing much is visible anymore. 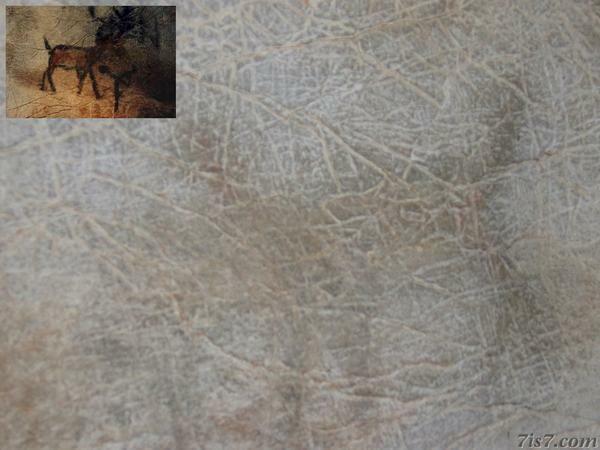 The inset is a thumbnail of a photo taken by Cave Lodge owner John Spies before it was destroyed.